Note: A minimum quantity of 150 must be ordered, and in units of 6 thereafter. 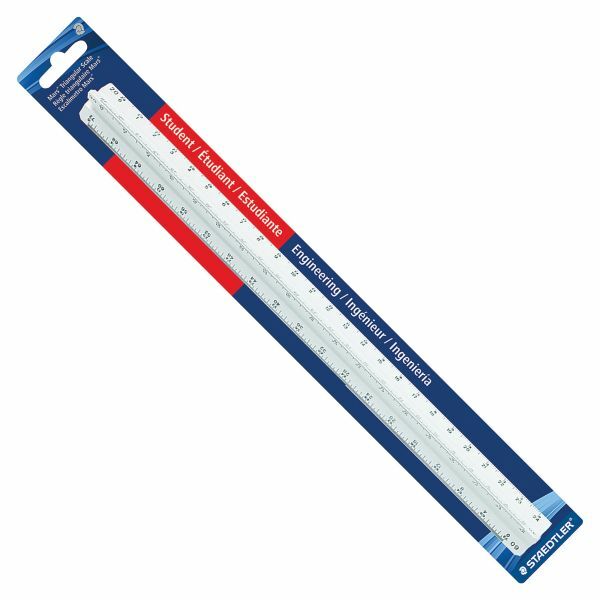 Staedtler 12" Triangular Engineer Scale - 12 triangular scales are ideal for engineers and engineering students. Three sides with six different scales feature die-engraved graduations. Easy-to-read, printed graduations will not rub off. Engineer triangular scales are fully divided: 10, 20, 30, 40, 50, 60 parts to the inch. Scales are made of high-impact polystyrene plastic."